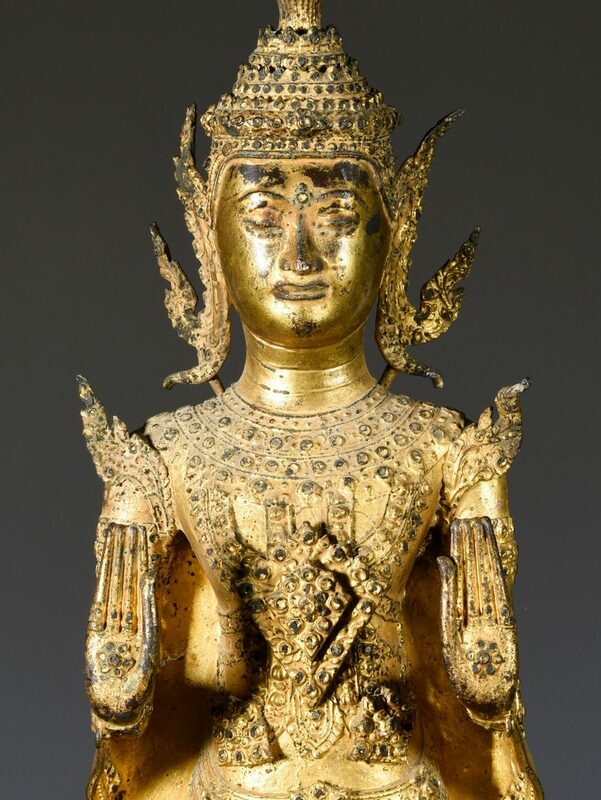 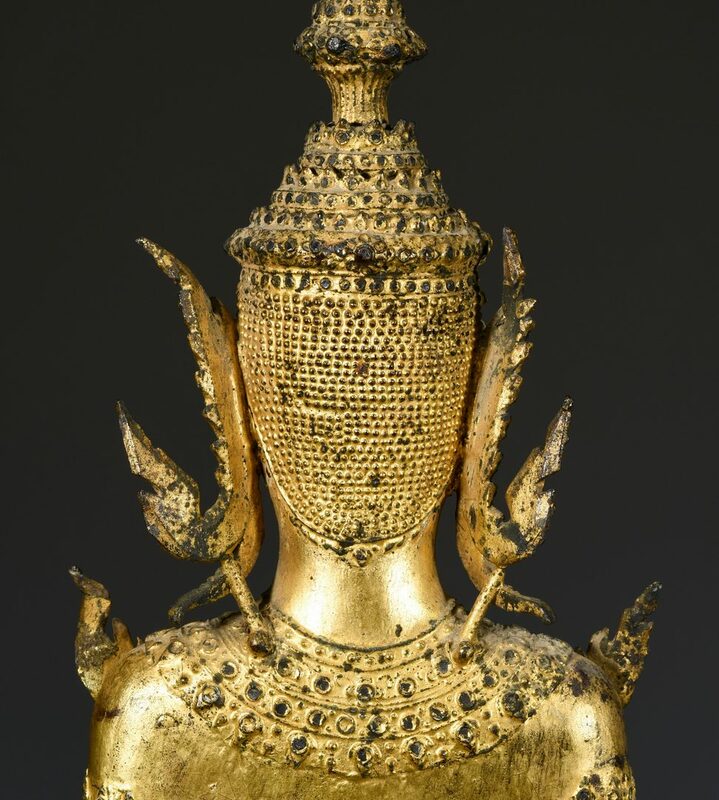 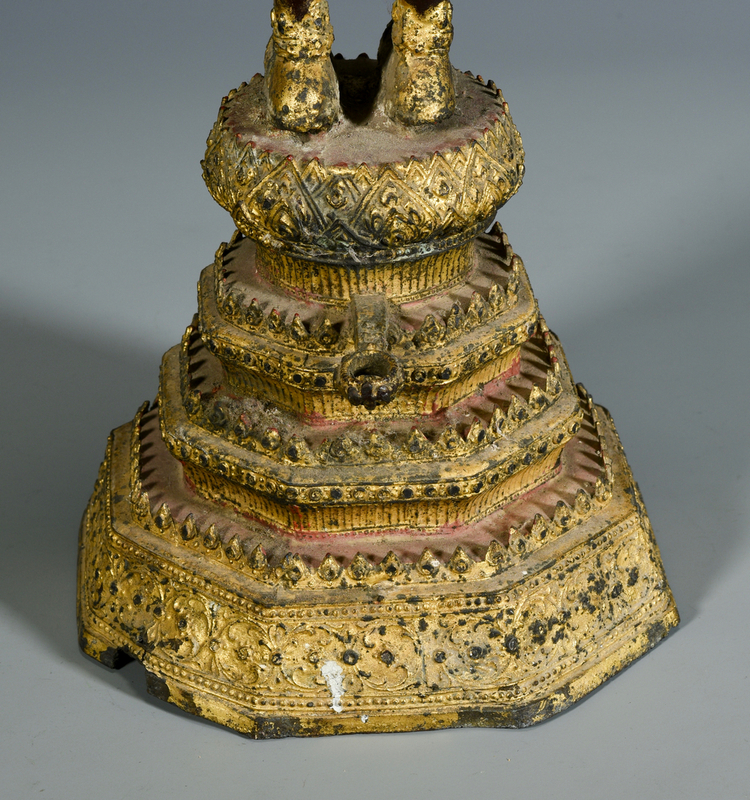 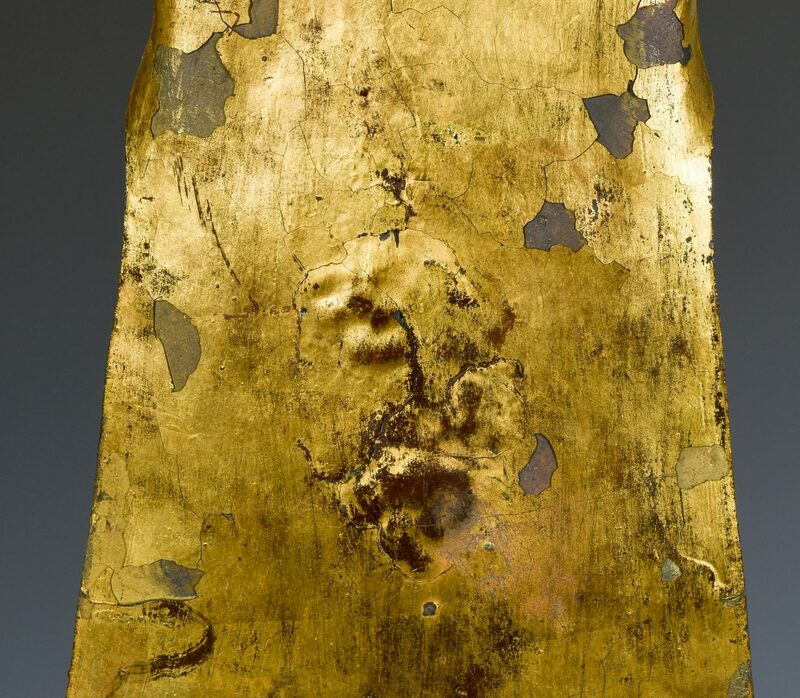 Southeast Asian, Thailand, gilt bronze buddha, depicted standing in the double abhaya mudra position (holding back the water pose) on a multi-level pedestal. 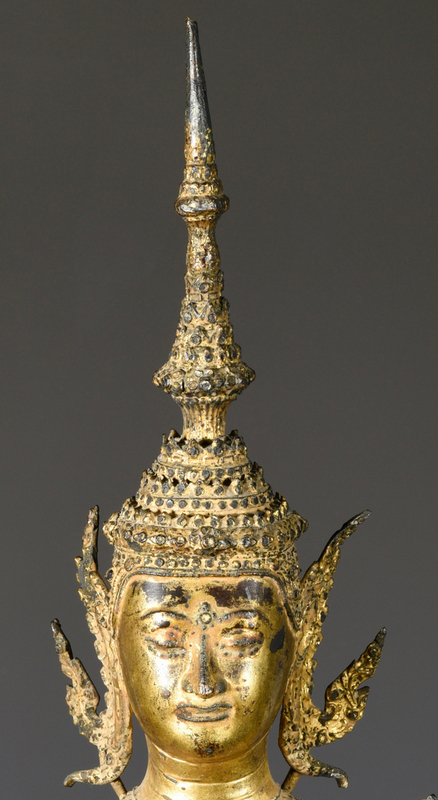 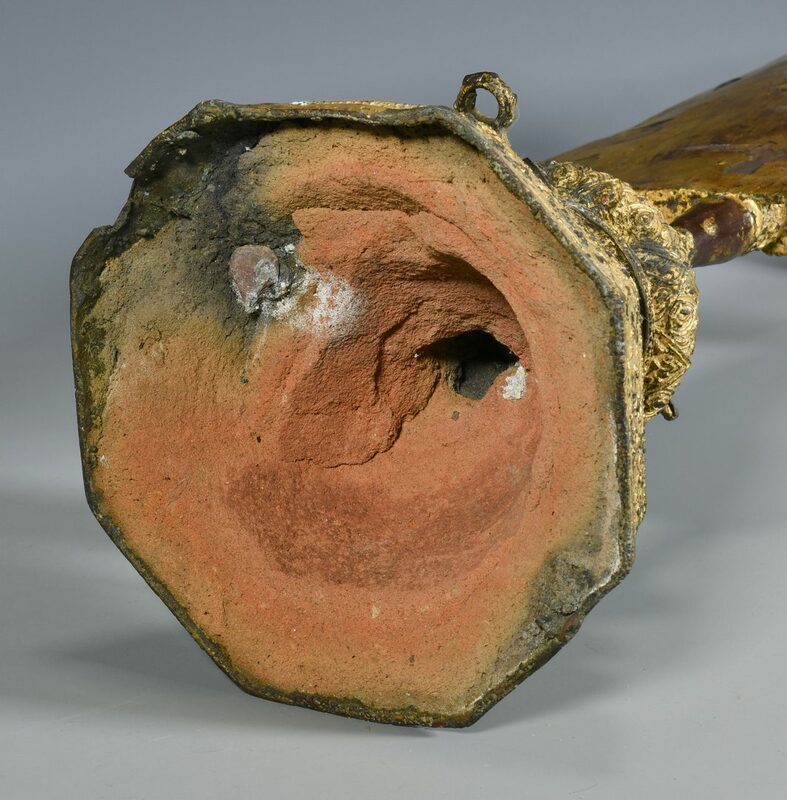 30″ H. Rattanakosin Period. 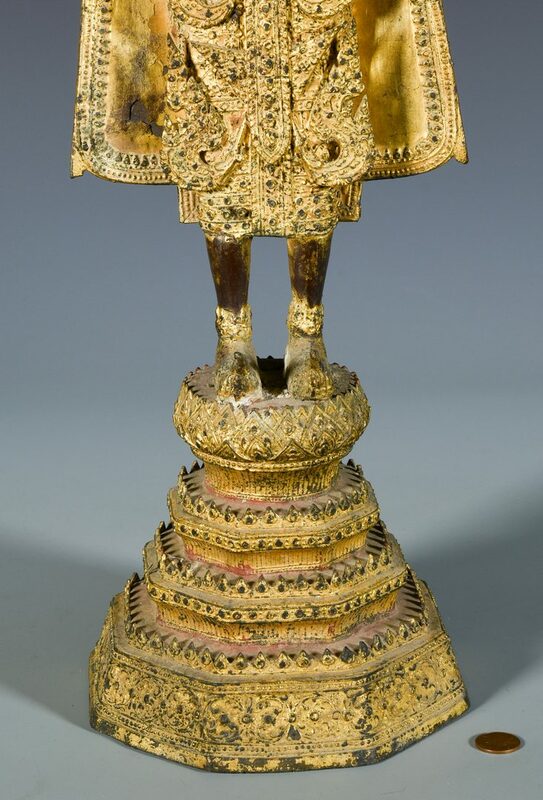 CONDITION: Overall good condition with general wear and minor flaking of gilt.